Catch up on the biggest stories in Palmyra this week. Palmyra’s first School Resource Officer is building relationships with students and Palmyra High School’s visual arts students have work on display. Catch up on everything from the past week in the Weekly Roundup. 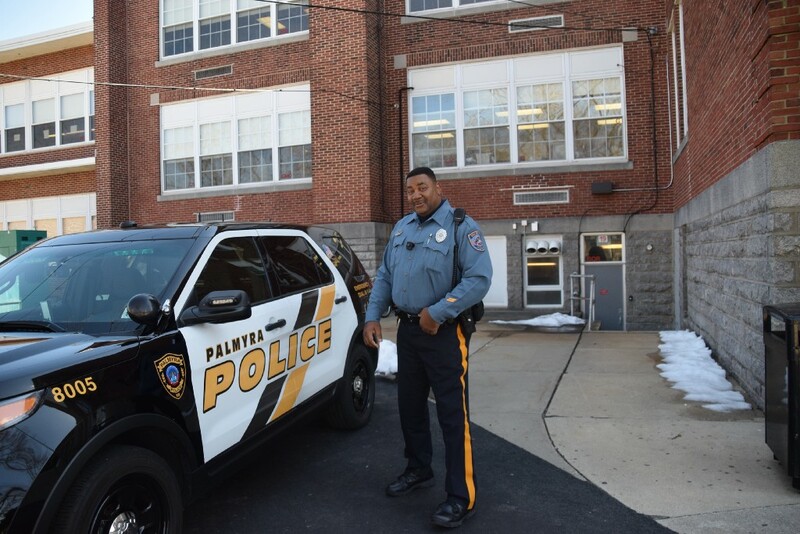 In his role as school resource officer, Kendall has been working daily to make police approachable and form connections with Palmyra students. Kendall is the borough’s first school resource officer. A Burlington Township resident, Kendall grew up in Palmyra, and he still considers the community his home. He creates lessons tailored to dilemmas facing every school age group. Since frequenting the classrooms, Kendall said he has had students come to his office at the high school seeking his counsel, and he feels his work is serving a purpose. Seven Palmyra High School visual art students’ artwork was chosen for the Teen Arts Festival. Their artwork looked professional and was well received while on display. This year, Palmyra’s seven award winners had artwork chosen to go onto a second exhibition later this Spring at Smithville Mansion. With one the best National Flood Insurance Program Community Rating System scores in the county, the Borough of Palmyra is encouraging residents to bring forward their flood-related questions. The borough has their own Floodplain Manager to assist residents with questions about flood insurance and other flood related matters.